I have only been wracked to my knowledge once for sure maybe twice. I have never used it but if I do get it happening more frequently I will load one up and see if it helps. 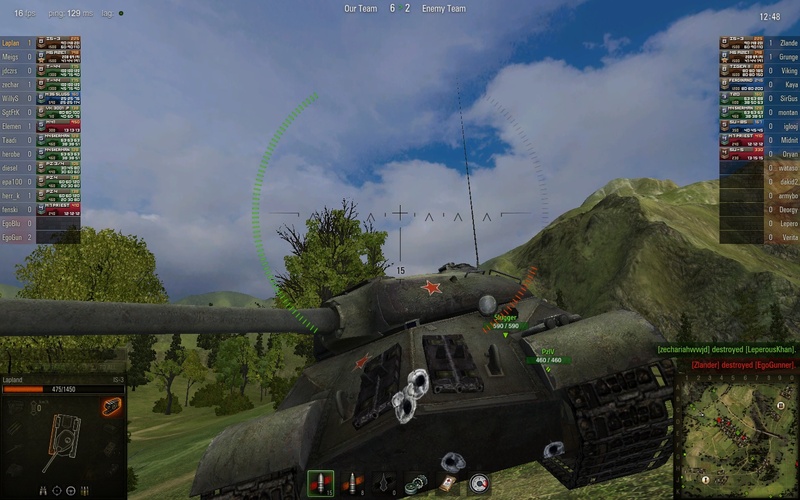 I cop shots into the ammo rack often enough, but only had a massive ammo explosion once, got one shotted by a Ferdinand from 100%, 2 minutes in, first tank down... was our top tank =(. I do find that the gun gets damaged often, though the turret is quite strong, so there likely is a bit of weakness in the gun mantle. All in all, I've had a lot of fun with this tank, even before getting the BL-9. i have 80 percent defeats with 35 battles wtf!!! Well HELL. It's not the tanks fault then! I don't think the game is even PLAYABLE with that high of a ping...don't blame the poor IS-3! I just got it and I love the tank, it bounces sooo many shots! 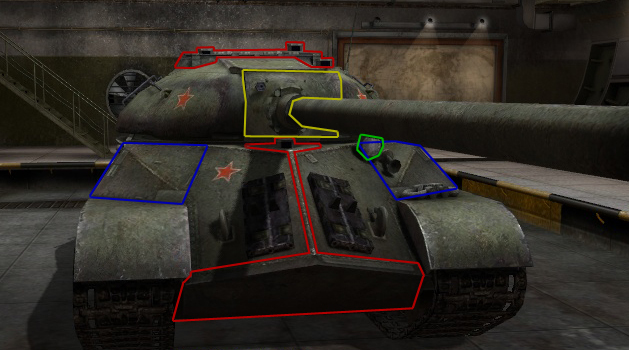 My IS-3's stock turret bounced VK4502B shot in rear part Hull is so-so, but turrets is good. I'm amazed by how terribly sh***y the IS-3's armor behaves. I'm more capable of bouncing shots off the rear of my armor versus trying to actually point my prow at enemy fire. Had a Lowe, ISU, and KV-1S bouncing shots when I chased after a Pershing in order to make an avenue of retreat. Managed to take 14 shots and get Steel Wall in the game. fighting a noob team is always enjoyable..and profitable. Not sure if I got your wording right. Feels more like it was two 110mm plates welded together to form the prow. And i don't have premium either. First tank ive had that seems to be made of ammo as well. I think that is even more true after the IS-1/2 experience. I run ~50% ammo loads on all tanks except the IS (to save a few pennies) which I keep at 100%. I am not surprise that's bugged/nerfed/etc. So how bad stock is the IS3? I'm used to driving German Vehicles. Is it like a T-28 or VK3001P or is it more like the KV or VK3601? I'm guessing its not as good stock as the KV3 or T-29?